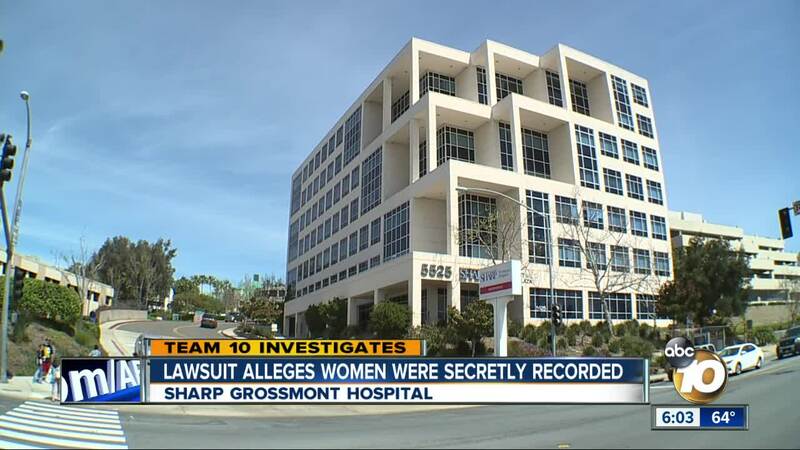 SAN DIEGO — Sharp Grossmont Hospital secretly recorded 1,800 patients using hidden cameras at the women's health center in El Cajon, California, according to a lawsuit filed late Friday afternoon. The video recordings took place between July 17, 2012 and June 30, 2013 inside three labor and delivery operating rooms at the facility in El Cajon, the plaintiffs claim. Among the video recordings captured by hidden cameras: Cesarean births, hysterectomies, sterilizations, dilatation and curettage to resolve miscarriages, and other procedures, according to court documents. “Plaintiffs suffered harm including, but not limited to, suffering, anguish, fright, horror, nervousness, grief, anxiety, worry, shock, humiliation, embarrassment, shame, mortification, hurt feelings, disappointment, depression and feelings of powerlessness,” the lawsuit states. KGTV reached out to officials at Sharp HealthCare and they confirmed that between July 2012 and June 2013, "Sharp Grossmont Hospital installed and operated one hidden camera on the anesthesia cart located in each of three operating rooms in the Women’s Center." "The purpose of the three cameras was to ensure patient safety by determining the cause of drugs missing from the carts," Sharp HealthCare officials told KGTV. "An initial lawsuit alleging privacy violations and other claims stemming from the video recording was filed against Sharp HealthCare and Sharp Grossmont Hospital in 2016. The case remains active and Sharp is not in a position to comment further about the matter. "Sharp HealthCare and Sharp Grossmont Hospital continue to take extensive measures to protect the privacy of its patients." The complaint for damages includes a demand for jury trial on charges of invasion of privacy, negligence, unlawful recording of confidential information, negligent infliction of emotional distress and breach of fiduciary privacy.